If you are looking for a SandPIPER Pump you’ve come to the right place at Triark. As an authorised distributor of these industry leading products, you can rely on us for a complete end to end service, offering sales, service and repair. 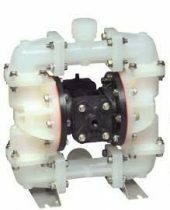 Since 1984 we have been supplying our varied customer base with hundreds of pumps on an annual basis. Now you can access our experience to help ensure that you’re getting the right specification of pump for your requirements. 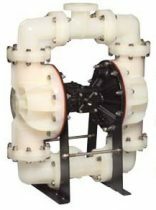 Why purchase your Sandpiper pump from Triark? An assurance of quality – every piece of SandPIPER hardware you source through Triark comes with a warranty and full factory support. Comprehensive catalogue and fast delivery – as the largest stockist of SandPIPER pumps in the UK, if you need a new or replacement pump – you’ll find it here. 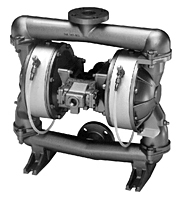 Legacy parts and support – want to maintain an older pump? At Triark we have parts that you won’t even be able to find at the IDEX factory. Expert pre-sales advice – in one simple ten-minute phone call you will save your company time and money by verifying that you are choosing the best pump for your project. 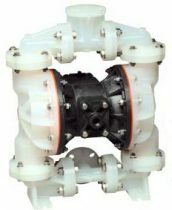 SandPIPER currently produce a vast range of pumps for industrial processing and operations. With such a number of different models available getting the right pump for your purpose has never been more important. The number one reason why Triark wins repeat business is our added value service. Our in house experts will instantly provide you with the answers to any questions you might have.